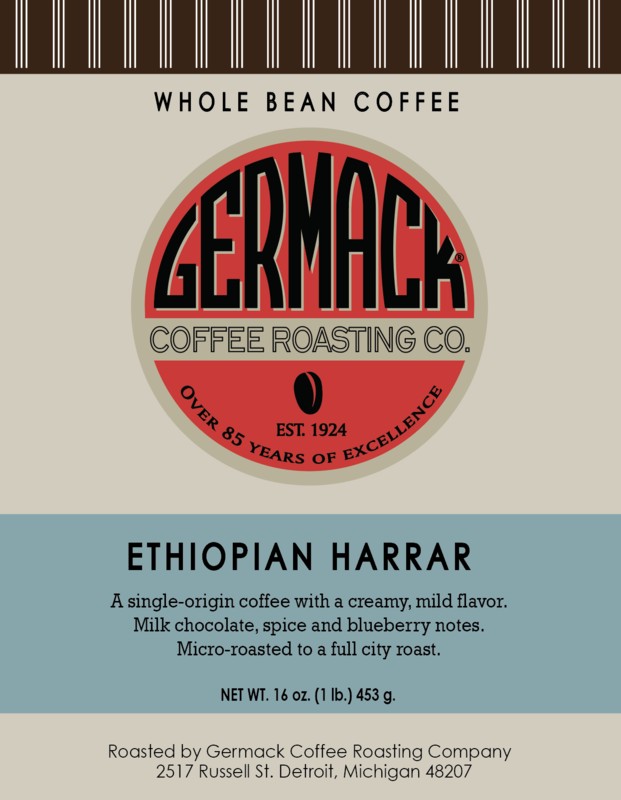 Germack Coffee Ethiopian Harrar - 12 oz. A single-origin coffee with a creamy, mild flavor. Milk chocolate, spice and blueberry notes. Micro-roasted to a full city roast. Whole bean.